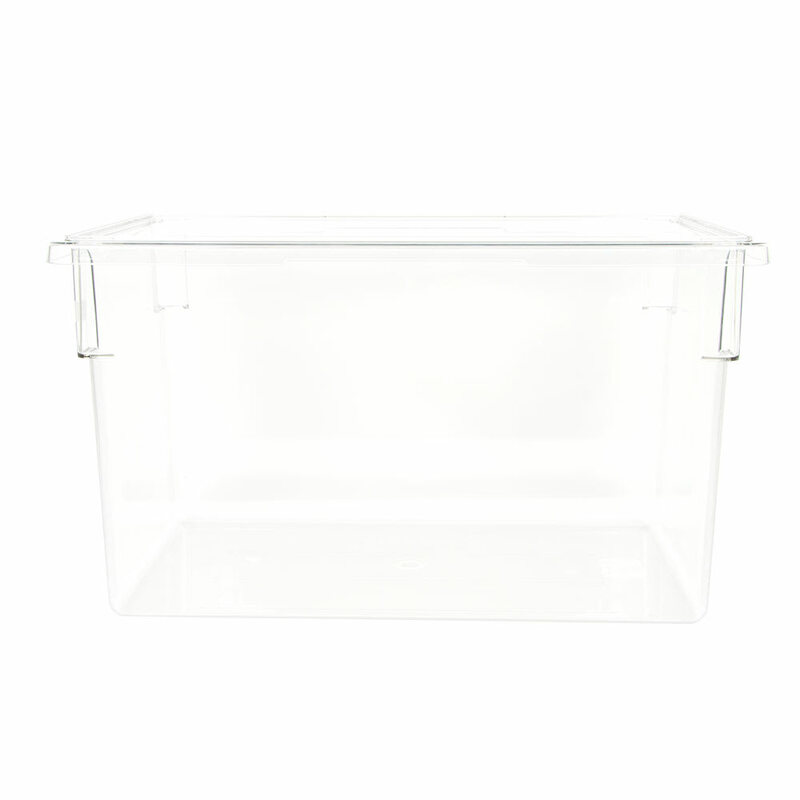 The Cambro 182615CW135 Camwear® food storage container has smooth sides for efficient cleaning, while its textured bottom provides slip and scratch resistance. 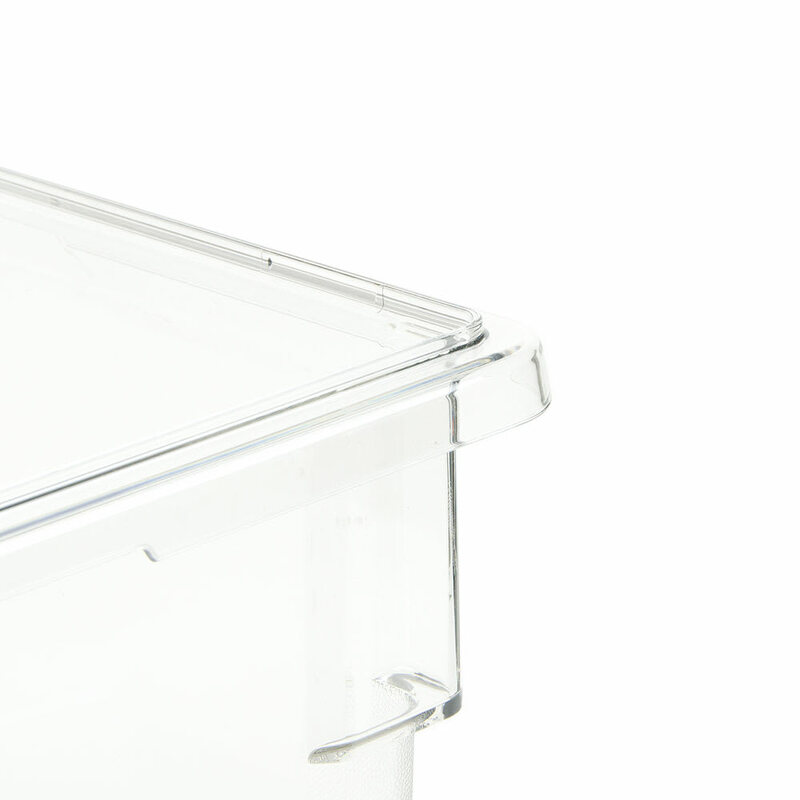 It is made of clear polycarbonate, so it resists minor damage like bending and breaking and enables staff to see product. 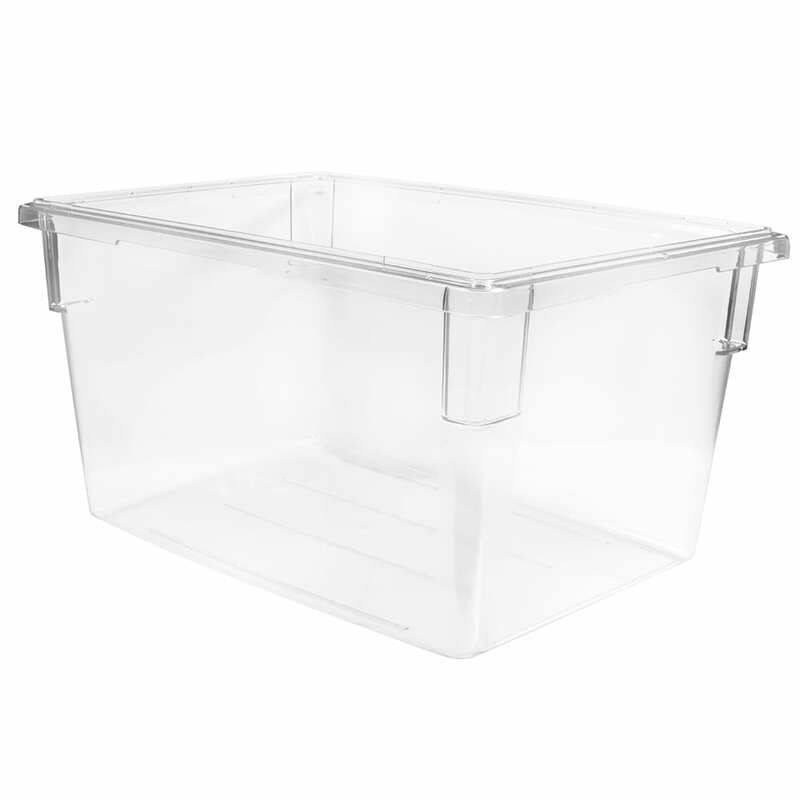 This container can be cleaned in the dishwasher and is safe in temperatures ranging from -40 to 210 degrees Fahrenheit.